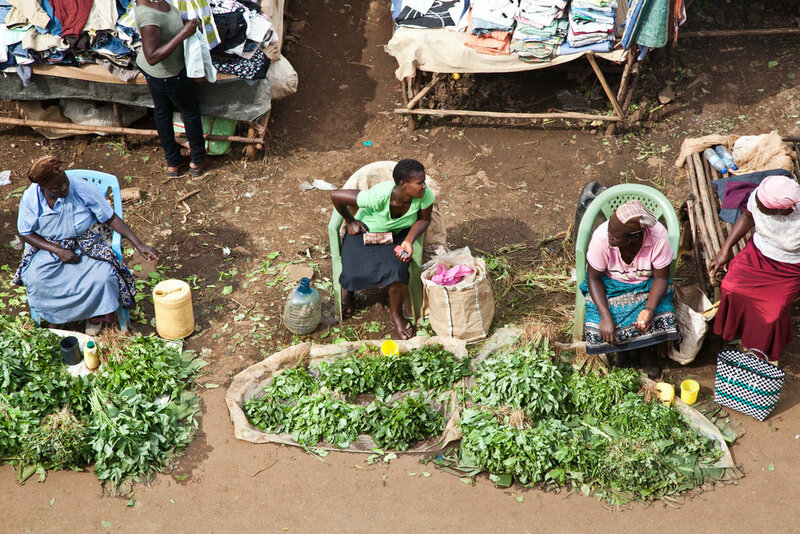 Kondele market sits beside Kondele roundabout in Kisumu. It is considered informal by the government who are trying to evict the traders. Richard Odhiameo is a Coca Cola distributor in Kondele. Richard has been told that Kondele will be evicted. He fears his structure will be broken in the relocation process. Charles Odugu sells charcoal in Kondele market where he has a strong network of regular customers. Charles worries about the future as there are fears of relocation. Dorothy was forcibly relocated from Oile market. After its destruction she found herself at Jubilee market. Dorothy is now supporting thirteen children, many foster children from other family members who have died. Clothing traders at Jubilee market. 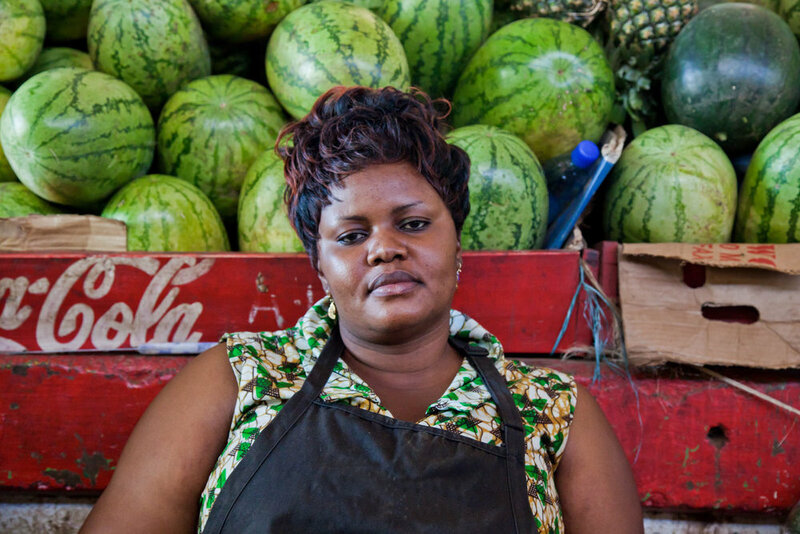 Teresa began trading at Jubilee market in 1982. Business isn’t as good as it used to be due to the traders who were forcibly evicted from nearby Oile market being accommodated in Jubilee where there is inadequate space. 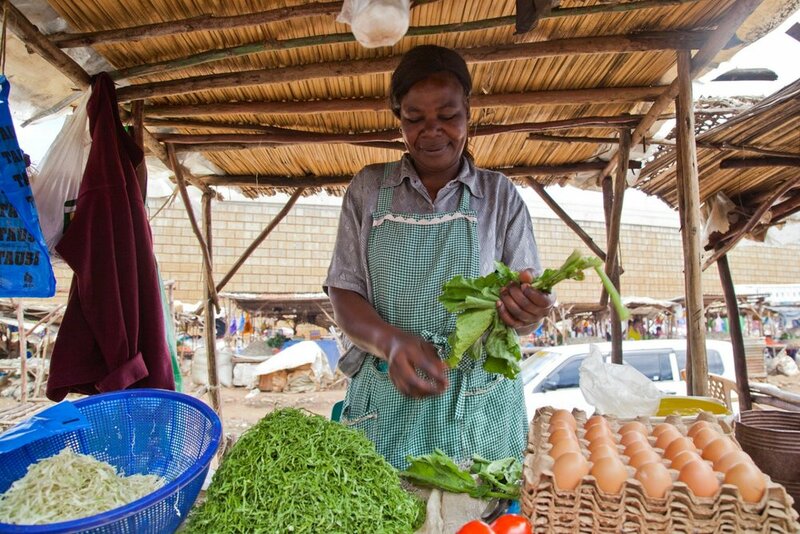 The market master of Kondele is responsible for managing the market, allocationg spaces and collecting revenue. Mildred is a widow living in Kisumu with one child. 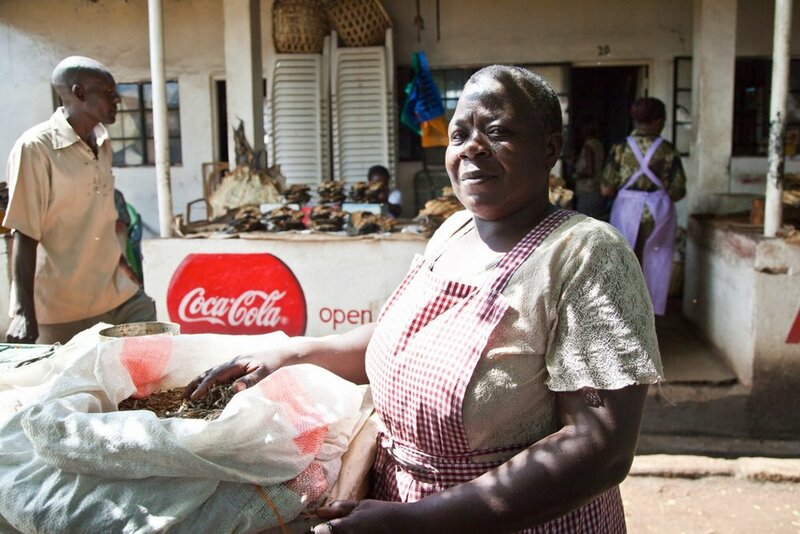 Mildred was able to establish a successful business. 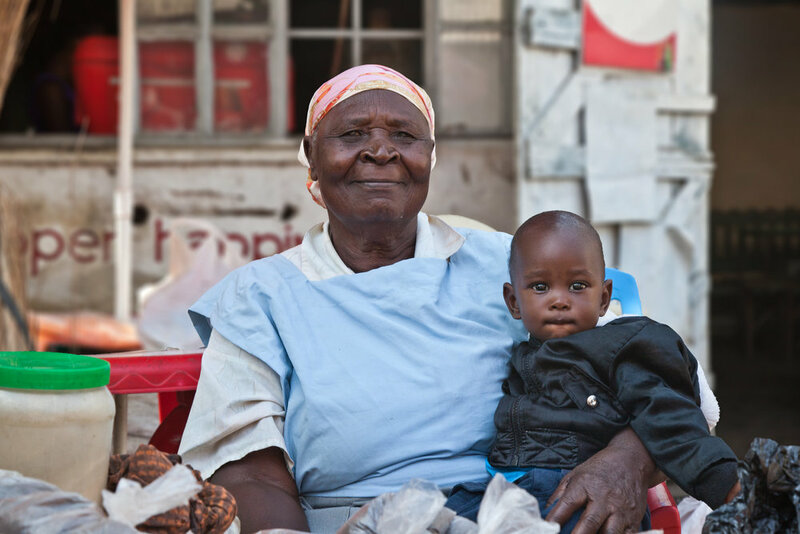 After her son’s death, Mildred returned to Kisumu where her friend helped her secure a space in the market. 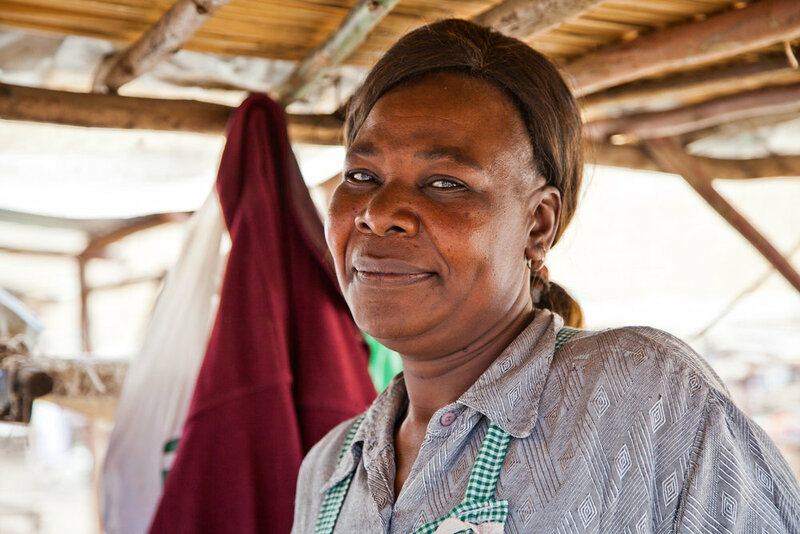 Mildred has successfully rebuilt her trading networks at Kondele, and is now the secretary of her savings and loans group. 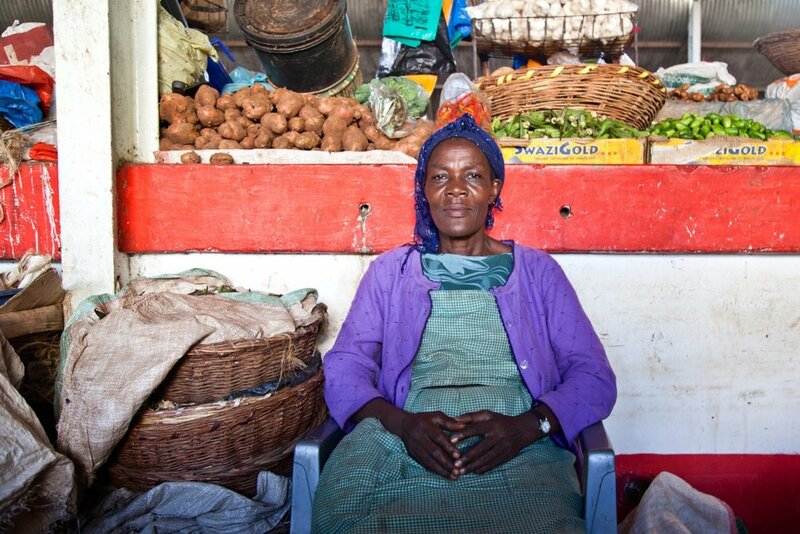 Her aspirations are to own a shop and to build a home for her and her daughter. Rose moved to Kondele having been evicted from Oile market. Business is not good compared to Oile, but “at least here we can get our daily bread”. Anna (right) is a farmer who comes to sell her produce at Kondele where she has been selling vegetables for 10 years. If she could trade anywhere she would trade at Jubilee where she could sell her products for double. Wilkista fears what will happen if she is evicted from Kondele. “I am old, if we are moved I will just have to do business on my doorstep, but there won’t be as many customers”. Master Yosfat was evicted from Oile market, and is worried as Kondele is likely to be moved too. Since he was evicted he has faced many challenges and has lost many customers. “What we need is stability”. Florence Auma Othuon is a widow living with her three children. She became a trader when her mother got sick and had to help her in the market. Her aspirations are for her children to get good jobs, such as being a doctor. As the third largest city of Kenya, Kisumu is recognised as a key metropolitan area for its contribution to the national economy. Markets have always been important for Kisumu due to its proximity to Lake Victoria giving it a strategic location in the East African region. Kisumu is undergoing rapid development, with the formation of urban plans envisaging its transformation into a more efficient, productive and market-led global city through its modernisation, beautification and infrastructure improvement. Even though markets are central to the city, informality continues to be an issue in planning processes. Despite their value to the city economy, informal areas are seen as hindering the modernisation of Kisumu. 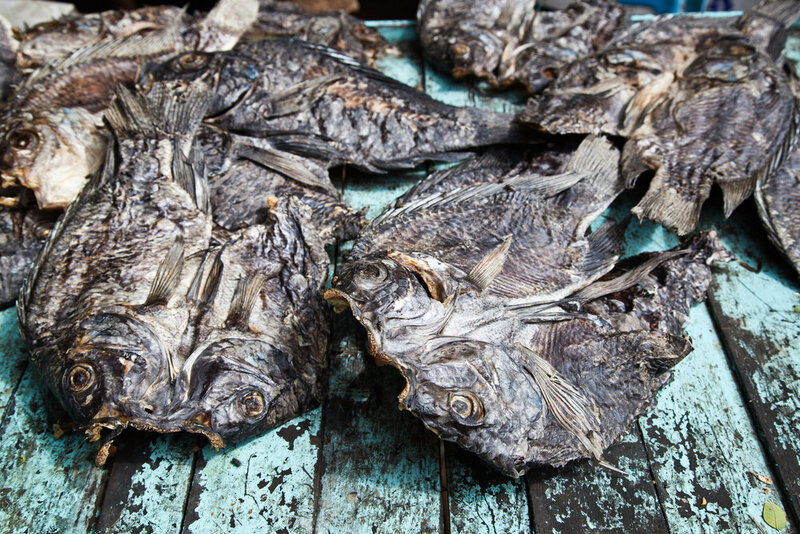 These images document traders in two markets that are being affected by planning processes. The ‘formal’ Jubilee Market has been targeted for infrastucture upgrading, while traders at the ‘informal’ market at Kondele will likely be displaced.